There are a lot of compelling reasons to go solar—reducing your carbon footprint and cutting energy costs are two of the biggest. But before you schedule your solar installation, it’s important to know how suited your roof is for solar panels. 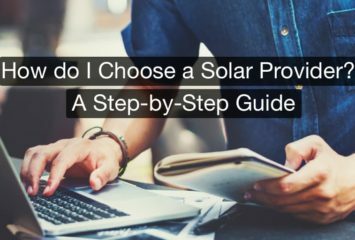 If you’re thinking about adding solar to your home, here’s everything you need to know to determine if your roof is ready. Some materials work better with solar panel installation than others. Fortunately, asphalt shingles, the most common roofing material, are ideal for solar panels. Other materials that are easy for installers include corrugated metal, standing seam, clay tile, and rubber roofs. Roofs made of slate or wood shingles are more difficult. Those materials are more brittle and sometimes can’t withstand the weight of installation. That doesn’t mean you’re stuck with traditional power if you have a cedar or slate roof, though. There are special mounting components and equipment elements that make it possible to install an array—just anticipate a slightly longer and more complex installation if you go that route. Solar panels need a certain amount of space to be properly installed. A large rectangular roof—free of any vents or chimneys—is ideal for solar installation, but few homes have such an arrangement. Fortunately, most professional installers are familiar with a variety of roof configurations and can work around things like skylights, turrets, chimneys, and dormers. They can even move drain pipes, if needed, to accommodate the solar system. When it comes to slope, you’ll want to discuss the optimal arrangement with your installer. If you set your array flat, you’ll see reduced precipitation runoff, impeding overall efficiency; if you set it too steep, you could be limiting the amount of sun the panels can take in. Generally, a twenty- or thirty-degree tilt will work well, though the angle will need to be made a bit steeper if you live further north. Many solar installations come with warranties that last up to twenty-five years, and most arrays will keep working fine long after that. As such, make sure you won’t need to replace the roof a couple years after installation. If your roof is due for an upgrade, it’s best to get that taken care of before installing a solar system. It’s possible to replace your roof after you’ve had solar panels installed, but you’ll incur the added expense of uninstalling and then reinstalling the array. If you’ve got between ten and fifteen years left in the life of your roof, you’re in good shape to add a solar installation—otherwise, tackle the roof before the panels. Obviously, you need to make sure your roof gets plenty of sun in order to maximize the output of your solar panels. Ideally, you want to make sure your roof gets full sun exposure between 9 a.m. and 3 p.m. all year long. The National Renewable Energy Laboratory has some helpful insolation maps that will give you an idea of the amount of sun your area usually gets. In addition to identifying how much direct sunlight your home usually receives, look for obstructions that cause shade. 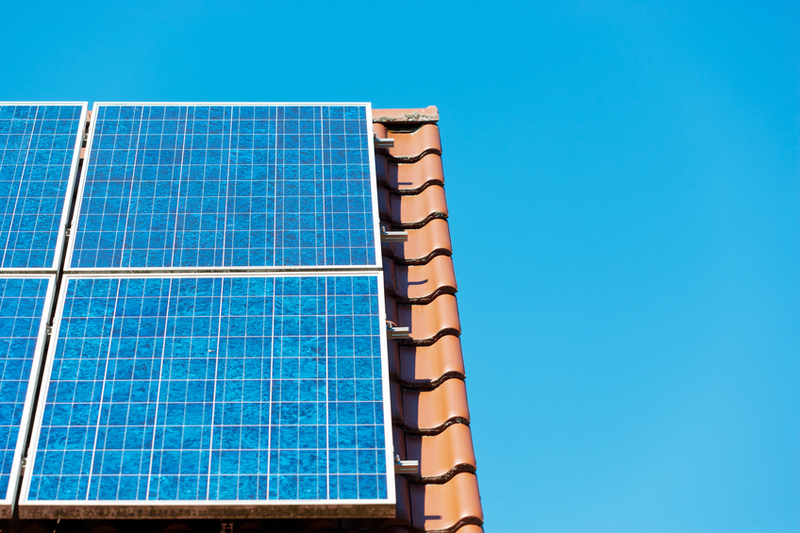 Everything from trees to neighboring buildings to chimneys can potentially put your panels in shadow. Keep in mind that shadows are longer during the winter months, and sunny hours are limited. If you’re not sure how much different your sun exposure might be in the winter, contact a solar installation company—many of them have tools to help you figure it out. The direction your roof faces also has an impact on its suitability for solar panels. Photovoltaic (PV) panels in the United States are most effective when they face true south. It’s easy to find out what direction your roof faces by looking your house up on Google Maps. This will orient you toward true south—which is slightly different from magnetic south—and give you a good idea about how much real southern exposure your roof has. Don’t despair if your roof doesn’t face true south. You can still get good energy output from panels that are facing southeast, southwest, or even east and west. However, if you choose an east- or west-facing orientation, try to eliminate any shade-causing obstructions because the panels will already be taking in slightly less sun than a south-facing array. If your home is a condo or townhouse governed by a homeowners association (HOA), you may not actually have the final say about what goes on your roof. Many HOAs regulate the outer structure of neighborhood homes—including the roofs. 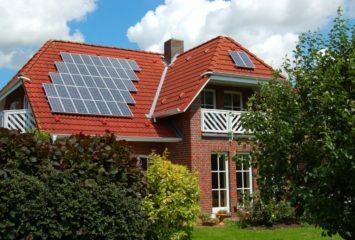 So before you sign any contracts, find out what the HOA regulations are for solar panel installation. Likewise, if you’re a renter, you may not be able to make the decision to go solar on your own—it’s ultimately the landlord’s call. However, it’s worth contacting your neighbors to see if they’re also interested in solar power. If several tenants would like to install solar panels, you may be able to make a proposal to the landlord for approval to go ahead. Even if your roof isn’t ideal, you can still go solar. Consider installations on other buildings on your property, like a garage or shed. If you don’t have a garage, look into building a solar panel carport. This will offer shade and protection for your car, all while powering your home at the same time. If all else fails, there are also ground-mounted solar systems available. If none of these are an option for you, find out if your city has any shared solar gardens or other community solar installations. You may be able to invest in a community solar project that gives you the benefits of rooftop solar without the necessity of having it installed on your property. Once you’ve determined your roof’s compatibility for solar, it’s time to make the next move. Check out the best solar companies in the business, and get a free quote today. You raised very important points here. This will really help in installation of solar panels.